We’ve got some good news if you’ve been looking for an Apple Pencil for the iPad Pro. The accessory is now available to purchase at some retail locations of Best Buy. You can head here to see if any local stores have the $99 accessory in stock. At least in the Dallas area, there were two different stores that had the Pencil available, for now. You can order from Best Buy’s site and pick up the accessory at the store. Staples has also placed the stylus up for preorder. According to its site, the item will be available next week on Wednesday, Nov. 25. You can also preorder the Apple Smart Keyboard from the retailer for $169 with the same arrival date. 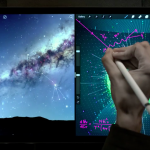 Since the iPad Pro officially hit the market, the Apple Pencil has been extremely hard to find. Apple Stores have had a very small stock, if any at all. And currently, any orders placed from Apple’s site for both the stylus and keyboard are listing a four to five week wait time – which could be sometime in late December. The short supply of the accessories has led to some scalpers listing the Apple Pencil for up to $400 on auction sites like eBay – four times its retail value. Only compatible with the larger iPad, the Apple Pencil is pressure sensitive and sports two different tilt sensors to calculate the exact orientation and angle of a user’s hand. The iPad Pro officially hit the market last Wednesday, Nov. 11. It starts at $799 for a 32GB Wi-Fi unit. A 128GB Wi-Fi only version is $949 while a Cellular + Wi-Fi edition with the same amount of storage is $1,079. Buyers can select from a space gray, silver, or gold version of each tablet. 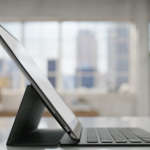 For other recent iPad Pro news, see: Apple acknowledges issue with iPad Pros, but no solution yet, Pad & Quill unveils three new luxurious cases for the iPad Pro, and Why aren’t there more professional apps for the iPad Pro? Why aren't there more professional apps for the iPad Pro?